This is the second post we write about this gifted Italian Graphic Designer and Illustrator, Marcello Barenghi. You can find the previous post here (Hyper-Realistic Every Day Items). He specialises in drawing Hyper Realistic images and filming himself doing it. Lat time we put 1 video and many pictures, this time we are going to do the opposite and show many of his short time lapse videos. 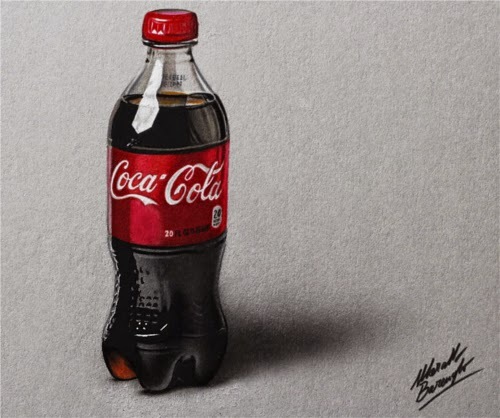 To complete the Coca Cola drawing, it took him 2 hours and 55 minutes.